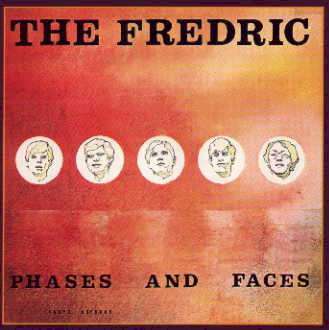 Phases and Faces, the only album by Grand Rapids Michigan quintet The Fredric, was released in 1968 on Forte Records. Long considered a masterpiece by fans throughout the world, this once-in-a-lifetime merging of diverse elements is one of the most magical and extraordinary musical offerings in all of sixties music. Any longtime fan will tell you, there is nothing like The Fredric in the history of recorded music. Nothing! 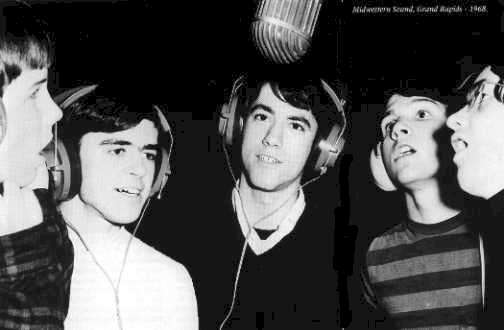 Lead vocalist Joe McCargar and Guitarist Bob Geis were high school mates in the mid-sixties, playing in a band. 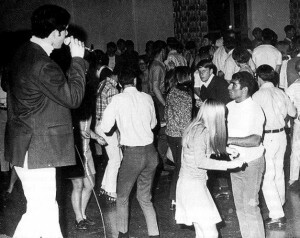 One of their first shows was a booking on historic Mackinac Island, playing the Grand Hotel in the summer of 1966. 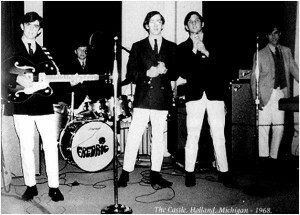 Several days before the show the band lost their guitarist and drummer, but quickly found guitar-vocalist Steve Thrall as a replacement through the musicians grapevine. This move proved to be the genesis of what was to become the legendary Fredric sound. This revamped trio, minus a drummer, managed to play the show successfully and decided to enhance the group with additional musicians. Drummer vocalist David Idema was the son of a family friend of McCargar’s parents. Ron Bera was added on keyboards, making use of his excellent skills. 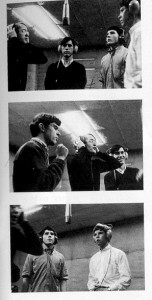 Extensive rehearsals were held throughout 1967. A unique and inviting sound began to take shape. At this point, the band approached a booking agent. Greatly impressed with the diversity of the original material, he encouraged them to develop and record. Soon afterwards he secured the band a position backing Harper and Rowe, a British vocal duo on a promotional tour. However, the duo’s label did not want a locally recognized band backing their act. 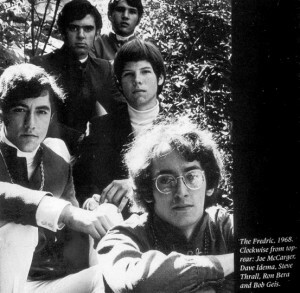 In need of a new moniker, the group changed their name from Yesterday’s Children to The Fredric, while passing through Frederic, Michigan on the way to their first show in Mackinac Island, located in the northern part of the state, became the paradisiac setting for early songwriting efforts, including “The Girl I Love,” “Morning Sunshine” and “All About Judy.” In the summer of 1967 Steve’s parents, in a vote of encouragement, let the band occupy their summer cottage on Lake Michigan as a retreat to perfect their sound. “Red Pier,” and “Cousin Mary Knows” were written there. Constant playing and exchanging of ideas had tightened and fine tuned a most unique sound. The Fredric was on their way. The Fredric shared concert bills with The Boxtops, Tommy James and the Shondells, The Yellow Balloon and other artists of the time. The Fredric played extensively throughout the Midwest and enjoyed an extensive fan base in West Michigan. In 1967 they formed their own label, Forte Records. In reality this was nothing more than means of copywriting their original material for presentations to major labels. 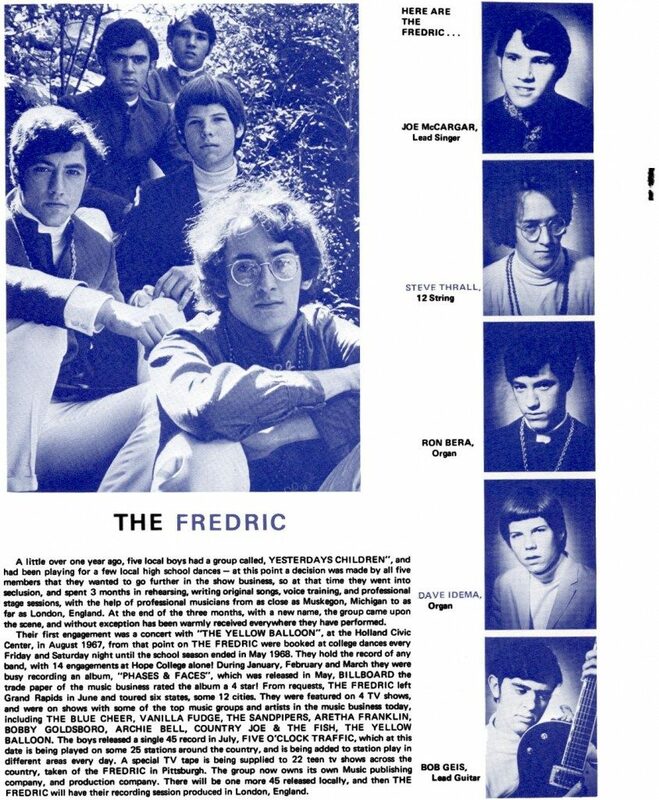 In June of 1970, The Fredric signed with Capitol Records and was promptly rechristened The Rock Garden by label executives. Capitol saw the group as a pop hit unit, which caused great frustration among the members who wanted nothing to do with this commercialization of their music. They had scheduled for several releases when the decision was made to dissolve the band. After the demise of the band, both Thrall and Idema pursued recording careers and continued to write together, Idema performing under the pseudonym, David Geddes, scored a mega-hit with “Run, Joey, Run,” and an album by the same name. Thrall and Idema found careers in media. McCargar became a teacher and recording engineer. Geis entered the accounting profession and Bera furthered his formal musical training as a choral and band director. Thrall confides, Take chances on your journey, or you will never discover the unwritten music. I’d like to thank everyone involved in this labor of love project. We are sure that you, the fans, will love this reissue package. Enjoy The Fredric, truly an American treasure! You Can Listen to Their Music Below To See Their Genius!!! My favorite is “Born in Fire”, but I love all of them!!! Phases and Faces (West Michigan Psychedelia 1967 – 1969 The Complete Recordings) by the Fredric – a collection that includes the complete contents of the original album as well as a single and some outtakes that were recorded for an unreleased second album. Tracks 13 – 17 are the extra, non-album tracks.